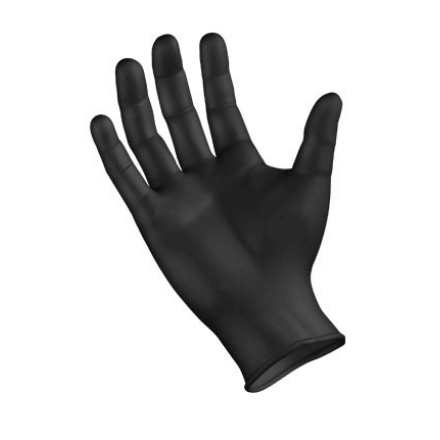 Designed for demanding work environments where your safety and comfort are a must. A textured surface promises secure gripping capabilities. Designed for demanding work environments where your safety and comfort are a must. A textured surface promises secure gripping capabilities. 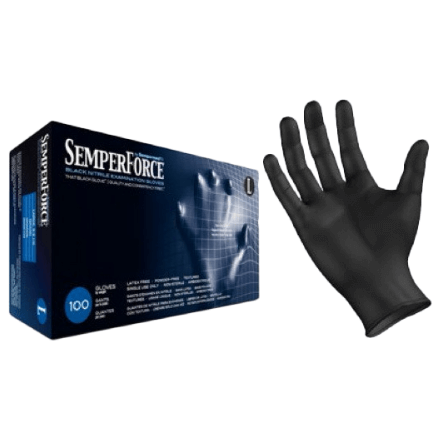 SemperForce® black nitrile gloves are ideal for automotive, industrial, tattoo, and cosmetology applications. 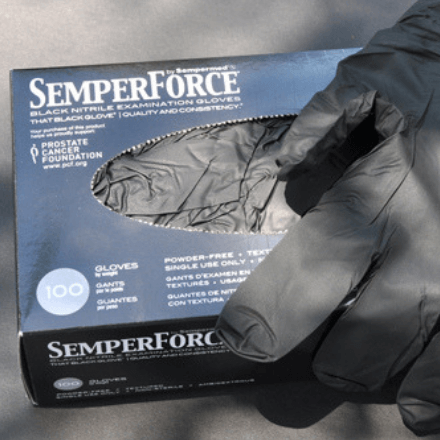 All SemperForce Black Nitrile Gloves documentation, manuals and resources available HERE.